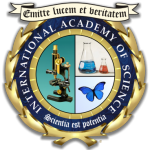 The International Academy of Science is a nonprofit 501(c)(3) organization that has been advancing science and education for over 30 years. The Academy offers applied science undergraduate and graduate degree programs that prepare students with important hands-on skills and experience needed for success in the workplace. The Academy also develops interactive, video-based Acellus courses used by millions of K-12 students in all 50 states and worldwide. The Academy develops and maintains Acellus courses which are used at K-12 schools in all 50 states. Through grants and other funding sources, the Academy is able to use master teachers, who are experts in their field of knowledge, to develop the Acellus courses. These grants also cover most of the costs that are associated with creating and maintaining the courseware. This allows the Academy to provide Acellus courses to schools at a fraction of the cost that most online courseware providers charge. The International Academy of Science offers both undergraduate and advanced applied graduate degree programs. These programs provide students with the opportunity to gain hands-on experience solving real-world challenges. Students in the doctoral program also gain valuable management and leadership skills and abilities as they learn how to effectively manage and direct a team.